Clergy: Rev. Kris Kaitapu, ss.cc. (residence phone: 558-0109), Michael Shizuma, Deacon Note: Fr. Clyde Guerrero will be filling in for Fr. Kris while he is in Tonga. Today on the “topside” of Molokai, the Saint Damien Catholic Parish, lives as “ohana” (family) serving God, serving each other and the greater world community. We endeavor in our own small ways, in our daily lives, to live Jesus’ gospel message, that we are each called to build the kingdom of God here on earth. We do that in our daily work, in our extension of friendship and charity to those in need. Our goal and mission is, like Father Damien, to give without counting the cost, without expectation of thanks, and without judgment of those we serve. One of the primary missions of the parish is to serve as a resource to visitors and pilgrims to Molokai who come to learn the Father Damien story. 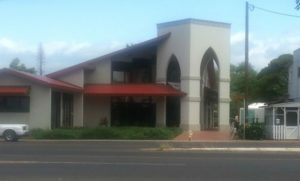 In 2011, after 16 years of planning, praying and fundraising, the parish completed the construction of and dedicated to God the new Saint Damien of Molokai Church. The new Saint Damien Church stands in the main town of Kaunakakai, in the center of Molokai and serves as the parish’s primary worship space and as a gathering place for visitors and pilgrims who come to learn the Father Damien story. Before the St. Damien Church was built, a smaller and older church existed-St. Sophia Church. The St. Sophia church was built in 1937 on the site of an earlier smaller chapel. It was said to be named to honor Sophie Cooke, who donated $1,000 to build it, a large sum in those days. On Feb. 11, 2010, it was destroyed by a fire. The parish had been raising money for over a decade to build a new church and St. Sophia was slated to come down in the later part of the year. The parish has about 300 families. Four out of five Molokai’s Catholic parishioners went to Mass at St. Sophia. The 1,852-square-foot church held about 120 people, and by 2010, it could not accommodate it’s parishioners without having overflow. In December 2011, the new church, St. Damien was dedicated to God. At the beginning of Mass in the Saint Damien Parish, we pray a Prayer of Thanksgiving for our Saint Damien of Molokai Church. Lord Jesus, You are the living cornerstone of God our Father and you call us to worship in spirit and truth. 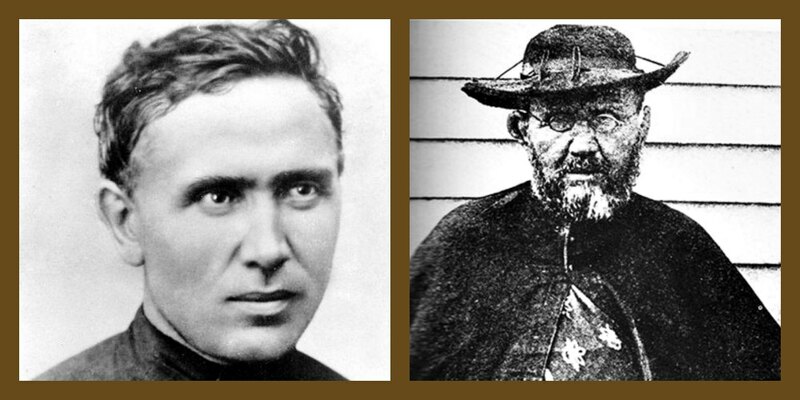 We come before You with humble hearts overflowing with gratitude for you have heard our prayer and looked with favor on our hearts’ request to build a house of prayer for us in the name of Saint Damien, Servant of Molokai. In great thanksgiving we will always sing songs of praise, tell the stories of our salvation and share a sacred meal in our new house of worship, the Saint Damien of Molokai Church. All of this we pray in your name, Jesus the Christ. Amen.